Introducing the most technologically advanced way to sit-down free-motion quilt with stitch-regulation. 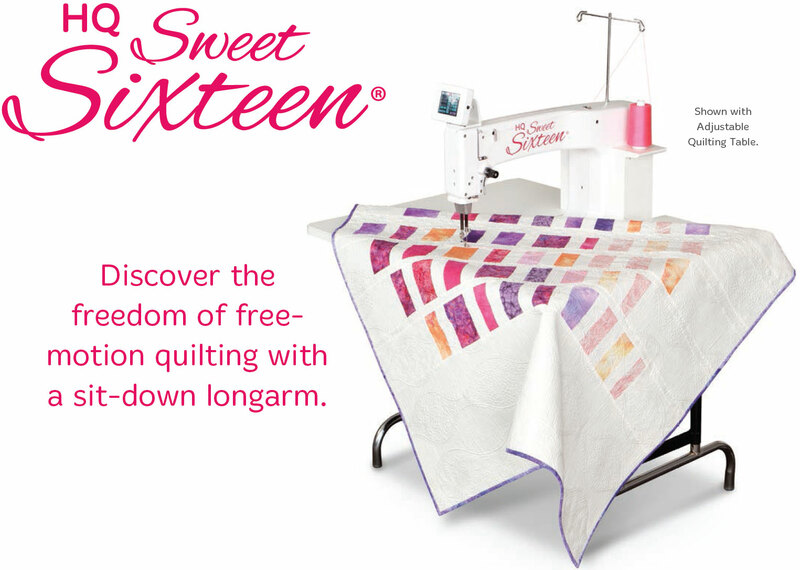 Handi Quilter’s HQ Sweet Sixteen is simply the best way for quilters to tackle projects with a sit-down machine. With the introduction of TruStitch, quilters are now able to create quilt designs with beautifully even stitches; please search HQ16 with TruStitch on this site for more information. Specialty pricing may apply. Please contact the store at 703.261.6366.